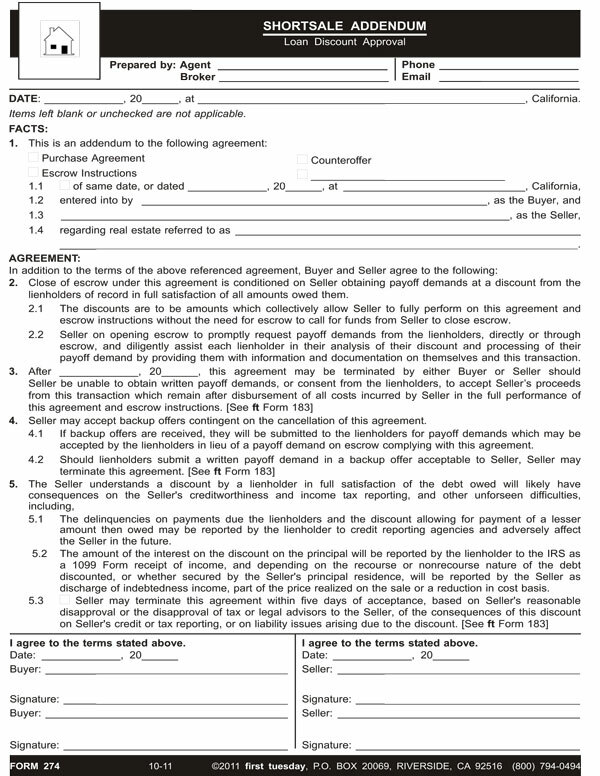 This form is used by an agent when negotiating the sale of property encumbered with mortgage balances in excess of the purchase price and the purchase agreement form used does not provide for lender approval of a discounted payoff, to prepare as an addendum a boilerplate short payoff further-approval contingency provision. The use of different varieties of purchase agreements is required for different types of properties, buyers and financing arrangements. The various purchase agreements contain provisions necessary for the buyer’s agent to readily negotiate the purchase of a particular property with a particular seller. The language contained in the Short Sale Addendum mirrors the short sale contingency provision contained in Form 150-1.